(UM Legislative News Service) A prolific alien organism is closing in on Montana and could have dire consequences for food production, outdoor recreation and the economy if it crosses the state’s borders. 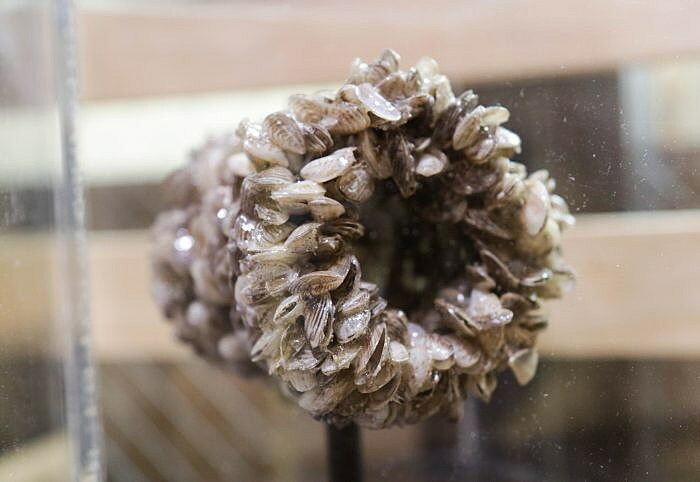 Montana Fish, Wildlife and Parks and state lawmakers are racing to protect the state from all invasive species, but aquatic species like quagga and zebra mussels in particular. Proposals include allowing counties to implement new taxes, creating a new fee for boat owners and establishing additional boat inspection requirements. It’s a bipartisan effort, and a group of lawmakers met late Friday afternoon to discuss the best ways to fund aquatic invasive species programs. A 2019 study commissioned by national and state invasive species councils and the University of Montana Flathead Biological Station estimated the economic damages of aquatic invaders, should they overtake Montana waters. It estimated mitigation costs between $72.4 million and $121.9 million, another $23.9 million to $112.1 million in lost revenue and $288.5 million to $497.4 million in property value losses. These mussels are common in the ocean, but not in freshwater. International cargo ships first carried the species into Michigan’s Great Lakes in the 1980s, and from there they spread throughout midwestern and southwestern states. In late 2016, officials detected traces of aquatic invasive species in Montana’s Tiber Reservoir, three miles from Chester. Gov. Steve Bullock immediately declared a statewide natural resource emergency. “That incident put Montana where it needed to be: To be proactive on the issue, to have the prevention program, early detection, outreach and all that,” Woolf said. In 2018, the prevention program inspected 109,000 boats at 35 stations across the state. 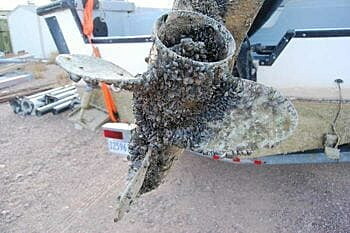 Out of those, 16 boats were found to have invasive mussel hitchhikers. Boats that come from outside of Montana or that test positive for invasive species are decontaminated with hot water, drained and cannot be used again until they are fully dry. The mussels aren’t big. They grow to about 1 inch in size. But their hard shell and ability to adhere to almost any surface make them harmful, Woolf said. And mussels affect far more than lake recreation. They can impede farm production by plugging irrigation systems that pump water from freshwater bodies. They can make drinking water taste bad. And they could cost the state millions in damages to hydroelectric infrastructure, which could also increase utility prices. Some say an invasion is a question of when, not if. However, Woolf is optimistic the state can hold off while researchers look for treatment solutions. “It’s kind of amazing that they’ve stayed out this long when you look at the research in Minnesota, and how rapidly the mussels have expanded back there in the Midwest,” Woolf said. In February of 2017, FWP created a new bureau, including Woolf’s position, to specifically address aquatic. Lawmakers also passed a bill that established an AIS prevention pass that resident and nonresident anglers are required to purchase along with a fishing license. 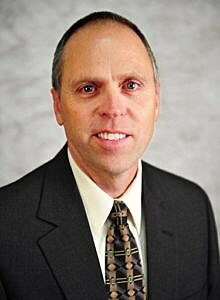 Speaker of the House Greg Hertz, R-Polson, is sponsoring House Bill 402, which would give county governments more control over AIS management and allow enforcement through penalties on those who don’t comply with ordinances. Bill Barron is a county commissioner in Lake County and spoke in support of the bill for the Montana Association of Counties. He said the association’s membership voted unanimously to endorse the legislation. Barron said a section of the bill that would allow law enforcement to inspect boats on the roadway would help curb an AIS infestation at a county level. “What this law really does for us is it clarifies and solidifies what a deputy can do on the road,” Barron said. However, it’s not enough to have management just at the county level, said Eileen Ryce, director of FWP’s fisheries division. She also spoke in support of HB 402, and said local, state and national efforts to combat AIS need to be collaborative. The Montana Invasive Species Council reports the United States pays up to $137 million per year in mitigation costs due to AIS. Woolf said western states have been working together, and with some Canadian provinces, on the issue. But Montana is far-outpacing it’s neighbor states on preventative expenditures. Washington’s Invasive Species Council reported in 2017 the state was second to last in funding AIS preventive programs. 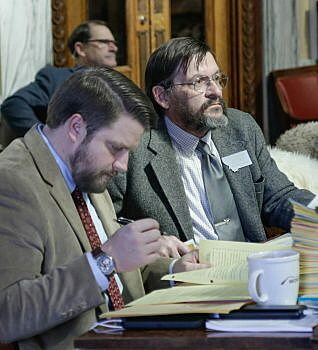 Representatives from the Fishing Outfitters Association of Montana, the Clark Fork Coalition and the Montana Audubon Society also spoke in support of Hertz’s bill. Multiple opponents took issue with invertebrate species (invasive species) being lumped together with vertebrates for pest control, which would mean agriculture land could be taxed to contribute to funding. “It does not make sense to tax ag land for AIS prevention,” Montana Farm Bureau representative Liv Stavick said. Hertz said he would be open to amendments. The bill has not seen a vote yet. 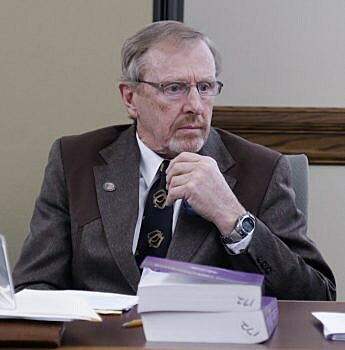 Rep. Willis Curdy, D-Missoula, is in a unique position because he’s sponsoring two competing bills that would fund AIS prevention at the state level. House Bill 32 would require boat owners to buy an AIS prevention pass annually, which would have to be available on request by law enforcement. That, plus an allocation from the state’s general fund, would add $6.5 million to the state’s AIS fund to pay for projects like the boat-monitoring and decontamination program. The bill came out of the interim Environmental Quality Council. House Bill 411 is similar, but would only require the annual prevention pass for nonresident boat owners, at a lower rate than HB 32 and only for motorized vessels. It would still include a one-time registration fee for Montana boat owners. It would add $5.6 million funding to the AIS fund. At the Friday afternoon meeting, lawmakers worked to hammer out which of the bills they thought would most likely pass both chambers and receive the governor’s approval. Debate will continue, but either way, both Republicans and Democrats are supportive of prevention efforts. FWP, Montana Trout Unlimited and the Confederated Salish and Kootenai Tribes voiced support for HB 608 during a public hearing last week. No one spoke in opposition.